Have you lived or worked in Cumberland County, TN for the past 12 months? 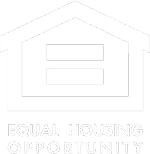 We are pledged to the letter and spirit of U.S. policy for the achievement of equal housing opportunity throughout the nation. We encourage and support an affirmative advertising and marketing program in which there are no barriers to obtaining housing because of race, color, religion, familial status, or national origin. Your donations furniture, large and small working appliances, clothing, books, dishes, bedding, baby and children’s clothing, toys, tools, yard equipment, office furniture, and other such items are welcome.